Ethereum vs Bitcoin: What are the Differences? 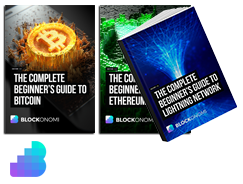 Bitcoin and Ethereum are the two most well-known cryptocurrencies today, with the former the legacy cryptocurrency created by the anonymous Satoshi Nakamoto in 2008 and the latter proposed by Vitalik Buterin in 2013. Although both cryptocurrencies have several similarities, their designs are distinctly different and the application of their networks are tailored towards different use cases. Understanding the key differences between Bitcoin and Ethereum can provide a better grasp on the broader cryptocurrency and blockchain industry as a whole, as they are both integral components of the market with large open-source communities and influential developments. The main difference between Bitcoin and Ethereum stems from their conceptual design. Bitcoin is predicated on becoming a secure, censorship-resistant value system outside of the traditional financial realm while Ethereum is designed as a ‘decentralized world computer’ where Turing-complete functionality enables users to build and run applications on the network through the Ethereum Virtual Machine (EVM). Both Bitcoin and Ethereum employ public-key cryptography for authenticating transactions that are validly signed by the party who retains control of the private keys to access the native cryptocurrency on each network, BTC and ETH, respectively. However, they differ in the structure of their transaction models. Bitcoin uses what’s called an ‘unspent transaction output’ scheme known as UTXO. Transactions are all linked together in a chain of inputs and outputs, with unspent outputs representing the ‘funds’ that an individual — with a corresponding private key that unlocks a specific amount of BTC — can use to spend as inputs in a new transaction. Users do not technically own specific BTC, but instead, hold the right to spend a precise amount of unspent transaction outputs in the network. Bitcoin uses ECDSA as its digital signature algorithm for its public-key encryption, and senders digitally sign the hash of a previous transaction in combination with the recipient’s public key to validly construct a transaction. Contract accounts are smart contracts that are run by code and programmed to receive, store, and contact other accounts in the network based on certain inputs. Externally owned accounts are controlled by users and can send and receive transactions, and sign them with their private keys. 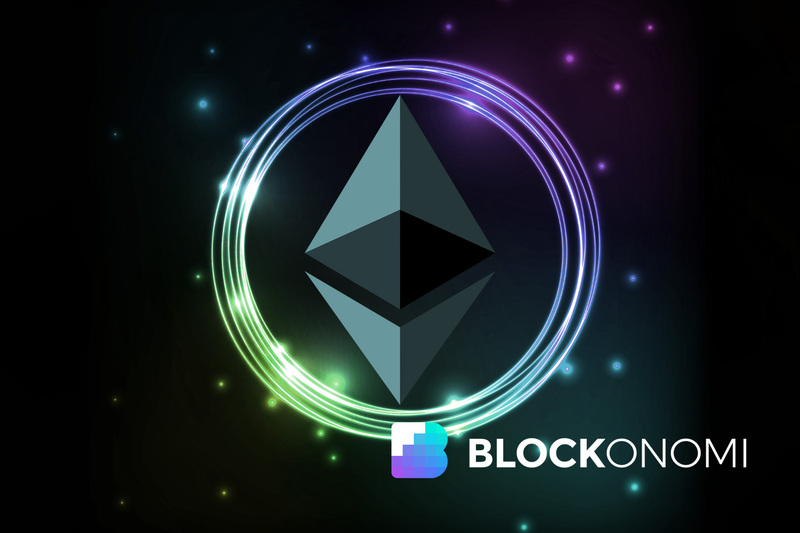 Notably, Ethereum uses ‘gas’ a derivative of the native currency Ether which is appropriated to pay for transactions and computational execution across the network, mainly designed to mitigate spam. Ethereum also uses the ECDSA digital signature algorithm for transactions. Overall, Bitcoin’s UTXO design is useful for the broader consensus of the network, as all inputs and outputs are linked to each other, and it also provides a more straightforward design of interlocking accounting records that are timestamped in the blockchain. Ethereum selected an account-based model for more considerable space savings, constant light client reference, and other advantages found here. The transactions schemes for both are designed to fit the mold of what each network is attempting to accomplish. The differences in monetary policy are some of the most profound and often overlooked variances between Bitcoin and Ethereum. 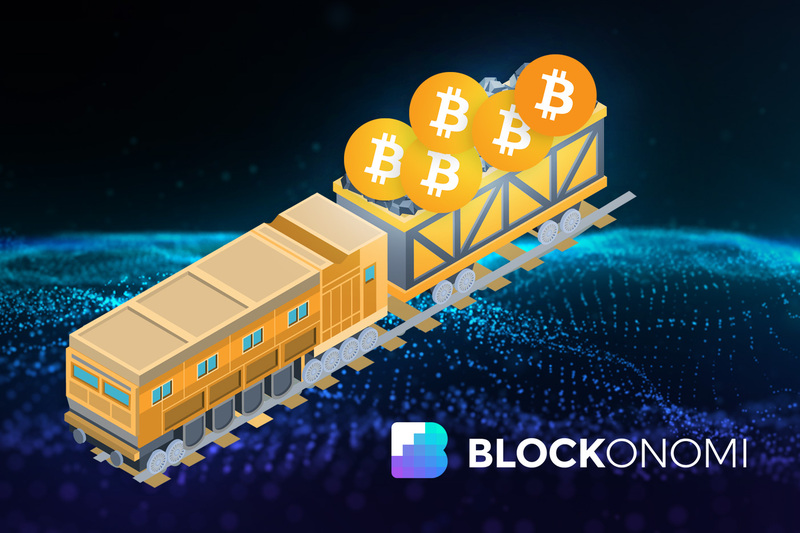 Bitcoin’s monetary policy has been set since its creation and is governed by the total cap on the number of BTC available (21 million), halving of block rewards roughly every four years, and the difficulty adjustment of the mining target to ensure a consistent release of blocks approximately every ten minutes. Bitcoin’s emission rate correlates directly to mining, as miners receive newly minted BTC as a block reward for winning the lottery-like consensus round every ten minutes. The emission is deflationary and equates to a diminishing issuance over time. Read: What is the Bitcoin Halving? As a result, Bitcoin is often referred to as ‘digital gold’ because of its high stock-to-flow ratio and scarcity of BTC. Bitcoin’s cemented monetary policy is one of its cardinal advantages. Ethereum’s monetary policy is more fluid and has not been entirely set in stone yet. While Ethereum still uses mining similar to Bitcoin in a PoW scheme — also with a difficulty adjustment to ensure blocks are created roughly every 12 seconds rather than 10 minutes –, there is an ongoing debate about the network’s monetary policy as the network looks to transition to Proof of Stake (PoS) consensus. Currently, the circulating supply of ETH is roughly 104,500,000 with a decaying emission targeting low inflation. However, in the Ethereum 2.0 proposed roadmap — known as Serenity — the rough consensus around the emission rate for PoS is between a target of 0.5 – 2 percent and perpetual inflation will accumulate proportionally to ETH holders that choose to stake their ETH as validators. Bitcoin’s concrete monetary policy is a distinct advantage over Ethereum, as the Ethereum community has prioritized other network components over solidifying its monetary policy throughout the last several years. The transition to PoS is an enormous move by Ethereum, which will be one of the major restructuring projects to watch closely in the broader cryptocurrency sector. Bitcoin has a stripped down and simple scripting language that can be leveraged for useful mechanisms like multi-sig transactions and certain wallet features, but Ethereum is designed explicitly for facilitating Turing-complete smart contracts and decentralized applications on its network. The eventual growth of sidechains on Bitcoin — like RSK — should confer Turing-complete smart contract functionality to a sidechain tethered to the Bitcoin blockchain, but sidechains are still in their early stages. Ethereum is the first smart contracts platform with an emphasis on developers building applications (dapps) that run on its decentralized virtual machine. Dapps differ from traditional applications primarily in that they are censorship-resistant, and Ethereum has seen numerous dapps from prediction markets like Augur to collectible games like Cryptokitties since its inception. Dapps have some interesting implications, but the lack of scalability of decentralized, public blockchain networks at the moment has hindered their adoption, hence, why Ethereum is transitioning to PoS consensus, to enable scalable dapps that can rival centralized applications in performance. Bitcoin and Ethereum both are PoW-based public blockchain networks where miners compete to create blocks in an open and competitive market. Bitcoin uses the SHA-256 mining algorithm while Ethereum currently uses the Ethash algorithm. ASIC miners are available for mining both algorithms, and the mining markets for Ethereum and Bitcoin are similarly dominated by large mining pools. The PoW consensus of Bitcoin and Ethereum allowed both of them to aggregate hash power over the years and become more secure, decentralized networks. PoW mining is an elegant method of money issuance that mitigates against the arbitrary inflation of a currency by creating an open market for mining and confers censorship-resistance to algorithmically predetermined issuance rates of the currency. Read: Bitcoin Mining – Is it worth it? 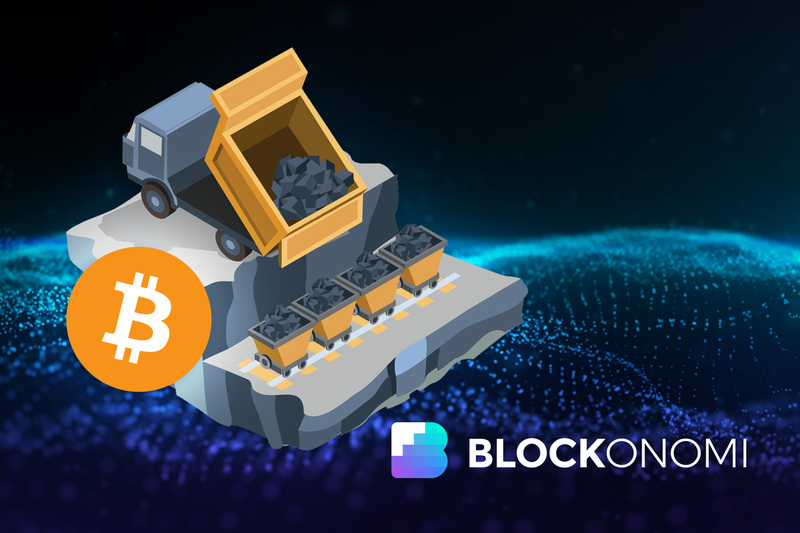 However, PoW mining is exceptionally challenging to bootstrap as it requires establishing network effects and incentivizing miners to mine on the network. Additionally, it is not ideal for Ethereum’s scalability as a smart contracts platform because of its slow on-chain throughput capacity and is why Ethereum is slowly transitioning to a PoS model which enables faster consensus on the network’s state. Ethereum’s PoS will not be fully implemented for the next couple of years, so it is impossible to project how it will turn out, but many core community members view it as the necessary step for the smart contracts platform. The scalability problems of Ethereum and Bitcoin have also led to layer two scaling solutions, like Bitcoin’s LN and Ethereum’s Raiden Network. Bitcoin’s scaling challenges are less complicated than Ethereum due to the more substantial complexity of the Ethereum network. Additional proposals for layer two scaling of Ethereum include Plasma and dappchains which would supplement the on-chain throughput of the network by localizing consensus to specific dapps and childchains tethered to the root chain. Consensus is also critical from the development perspective. Both Bitcoin and Ethereum use open-source improvement proposals from the community. These are BIPs for Bitcoin and EIPs for Ethereum. Users and developers can contribute to both and governance take the shape of an off-chain ‘rough consensus’ for both networks rather than a baked-in on-chain governance protocol. Bitcoin and Ethereum retain the two largest open-source communities in the cryptocurrency sector. The two communities differ slightly in their approaches, however. Bitcoin’s community has taken a prudent approach emphasizing conservative changing of core components of the protocol in an effort to maintain robustness and sustainability. Ethereum’s open-source community and lead devs are more focused on adapting to network needs by implementing more liberal upgrades/changes to the network, as indicated by the planned shift to PoS consensus. Time will tell how well Ethereum’s transition plays out, but Bitcoin’s resilience and conservative approach have proven a successful recipe for sustainability for over a decade. Ethereum’s more significant changes come with inherent risk but also potential opportunity to evolve dynamically. Bitcoin’s narrative has evolved from a fringe digital currency to a high-value settlement layer and digital gold that has a penchant for resilience in the face of persistent criticism, skepticism, and misperceptions. It has become a viable alternative means of value storage and transfer outside of the traditional financial realm and is primarily an invention of money. Bitcoin users are usually professionally involved with the legacy cryptocurrency or ideologically predisposed to use it out of general aversion to inflationary fiat currencies, or simply use it out of curiosity or necessity. Bitcoin’s community emphasize privacy, robustness, and censorship-resistance, which have led to some innovative developments and applications of Bitcoin. Bitcoin’s on-chain throughput is not sufficient to support a digital P2P payments network, but the continual progression of its second layer Lightning Network (LN) has the potential to change that. Ethereum’s community is focused on building a scalable smart contracts platform that is also censorship-resistant and can provide the foundation for a new generation of applications. Ethereum is useful for making dapps that have various use cases. Digital collectibles are provably scare and immutable for games, prediction markets are censorship-resistant, and intermediaries can be removed from sharing economy business models. Dapps on Ethereum — or any other smart contracts platform — have endemically poor user numbers, so the eventual outcome of Ethereum’s transition to PoS weighs heavily on the success of the platform as a viable means for building, running, and using dapps. The future roadmaps of Bitcoin and Ethereum are chock-full of innovative ideas and upgrades to the core protocols. Efficiency and privacy enhancements are the focus of many future Bitcoin upgrades, including the long-awaited incorporation of Schnorr signatures into the protocol and network-layer privacy protections like Dandelion++. Similarly, the LN is poised to continue growing, bringing with it a massive design space for more applications and payment capabilities for merchants looking to use Bitcoin. The proliferation of sidechains — like RSK and Liquid — is also a trend to watch closely in the coming years. Ethereum’s transition to PoS is clearly the most significant development with the smart contracts platform. The change will come in multiple steps, including the upcoming Constantinople upgrade and eventually the fully live PoS Serenity completion. There are other developments for Ethereum on the horizon too. The potential inclusion of zk-SNARKs into the network can improve efficiency and privacy across the network, and future bridges to networks like Cosmos and Polkadot can help to supplement Ethereum’s scalability. Bitcoin and Ethereum are the two most established cryptocurrencies today. Bitcoin as the novel digital currency that started a movement, and Ethereum as the smart contracts platform striving to be the foundation for a new generation of applications. Comparing their primary differences allows you to understand what defines the narrative and benefits of both cryptocurrencies. There are many more nuanced technical differences between Bitcoin and Ethereum, and as always, it is best to do your own research when evaluating cryptocurrencies. I know very little on the topic of crypto currency and I do have a question simply by ignorance if you will. Can a person cash in his crypto for money in the bank. Yes, the most common way is using Coinbase. Bitcoin and Ethereum also cost their transactions in different ways. In Ethereum, it is called Gas, and the costing of transactions depends on their storage needs, complexity and bandwidth usage. In Bitcoin, the transactions are limited by the block size and they compete equally with each other.